Rivers: Hoh, John Day, Washougal, Chetco, Deschutes, Clackamas, Cowlitz, North Umpqua, Methow, Grande Ronde, and Klickitat. All the rivers filmed in this movie are easily accessible to fish. 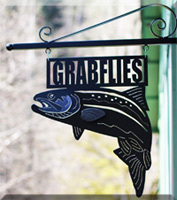 If you want to come and fish for Steelhead swinging flies in the Pacific Northwest. This movie is a must have film.